Often it is some of the brighter Koi that end up being the popular choices, but there are also some Koi that aren’t quite as bright, although they still are quite popular. One type of Koi that may not be as bright is the Chagoi Koi, but they are still a type of Koi that many people want to add to their Koi ponds. These Koi are well loved because they are a lovely uniform earth tone. Essentially, they are brown Koi, but there still are different quality levels and various traits that can be quite valuable as well. Keep in mind that all brown Koi are not necessarily Chagoi Koi. The basic Chagoi Koi are a beautiful brown and they have a nice personality as well. These Koi are actually thought to be more friendly and more intelligent than most of the other Koi. They are usually the first ones that are able to be hand tamed and they tend to be pretty aggressive at feeding time as well. In many cases, people actually buy them because they want to tame the fish and the rest of the fish they have, so it’s not always the color that buyers are looking at when they choose the Chagoi Koi. When you can get the Chagoi to eat out of your hand, it’s easier to get the rest of the fish to do the same thing. What Makes a Good Chagoi Koi? 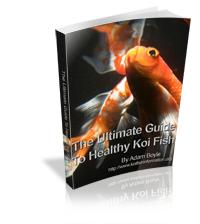 If you’re not sure what you should be looking for in a good Chagoi Koi, here are a few guidelines that can help you out. First, these fish should be big if they are adults. Of course, younger fish won’t be as big, but they still should be very robust. 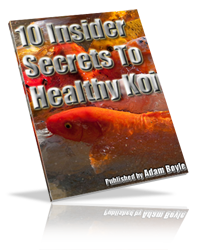 Younger ones should eat aggressively and should be larger than the other types of Koi that are the same age at the time. Once they are adults, the Chagoi Koi should end up being very larger. In fact, they should usually end up being about 40 inches or longer. You also need to look for a body shape that is quite blocky. At the base of the tail, it should be very fat and quite thick. Look for shoulders that are broad as well as a broader head on this fish. These fish should not be streamlined and you don’t want them if they are slender. The dorsal fin or other fins should have no splits in them and the pectorals on the Chagoi Koi should be paddle shaped and quite large. Another thing to look for when you’re trying to find quality Chagoi Koi is rukurin. Basically this is an edging that is black and it should be on all the scales. It helps to give the fish net pattern over top of the beautiful brown and it really helps to highlight the scales as well. Keep in mind, if you are looking at certain Chagoi colors or some of the Chagois that are scaleless, this may not be found on them. Even the eyes of the Chagoi Koi should be assessed when you are buying. They should be very bright and active and look for corneas that are appear to be totally clear. If the eyes are dull, you won’t want to purchase this fish. When it comes to the pattern of the Chagoi Koi, you’ll find that you have those with the fukurin and those without the fukurin. The type that you prefer will probably simply be a matter of personal preference. If you are trying to assess the quality of the fish, look at the scales and see how lined up they are. The higher quality fish have scales that are well lined up. If you have nice uniform scales that are in great straight rows, these fish are going to be seen as the higher quality options. You’ll find that various colors of Chagoi Koi can be found. Four particular colors are well known. First, you have the Rootbeer Chagoi, which are a very nice reddish brown. They are lovely and may come with or without the fukurin. Another option is the Green Chagoi Koi, which are very lovely. These are some of the most coveted types of Chagoi Koi. They are actually the most friendly of the various colors of Chagoi, which is one bonus. They are also very hungry, which means they get very larger. Although this type of Chagoi Koi eventually are going to begin to grow, the color green shows that they really will be large later in life. Last, you have the brown Chagoi, which should have the special black fishnet pattern on it. This helps you make sure it can be differentiated from a simple common carp. Most of the Chagoi are this color, so the other colors are more difficult to find.